By the growing demand for re-usable dual controls for driving school, Peheja BV has invented In the 1980s the universal cable dual control system. 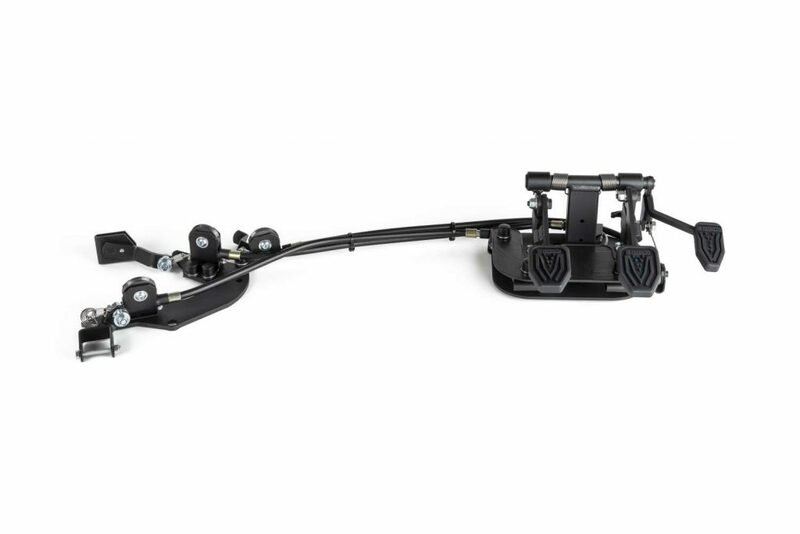 With an universal base unit and vehicle specific steel supplements on to which the pedal pulleys of the driver’s side and the dual control system on the passenger side is mounted. Through the innovative unique concept and high quality we have grown into an international operating company and became the world market leader in developing, manufacturing and applying universal cable dual controls with a worldwide dealer network. The unique concept of the Peheja® dual control system is based on cables and can be re-used for many times, after you have purchased the universal basic unit once, you can use it for at least 10 years in every type of vehicle, this gives you a saving of at least 35% per re-installation compared to a new dual control. By using specially developed steel supplements & brackets the damage to your vehicle is minimal and you will experience a safe and reliable feeling. This makes the dual controls of Peheja BV the most sustainable & cost efficient dual control system in the current market.